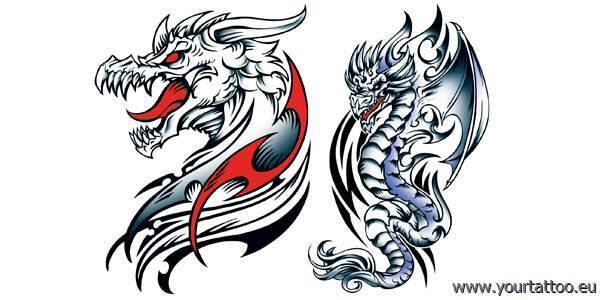 Leviathan Dragon entfernbare Tattoos Leviathan Dragon Temporary Tattoo. Leviathan dragón Tattoo. 11,5 x 15 cm (4,5 x 6 inch) Temporary Tattoos - entfernbare Tattooaufkleber ohne Schmerzen.